Lavell Harp, 22, of Clarendon pled guilty to Residential Burglary, a Class B Felony. He was sentenced to 10 years in the Arkansas Department of Corrections. Larico Jones, of Clarendon, pled guilty to Residential Burglary, a Class B Felony. He was sentenced to 54 months in the Arkansas Department of Corrections. Rashad Bones, pled guilty to Residential Burglary, a Class B Felony. He was sentenced to 54 months in the Arkansas Department of Corrections. Andrew Cortinez, 25, pled guilty to Aggravated Assault, a Class D Felony. He was sentenced to 36 months in the Arkansas Department of Corrections. Antonio Compton, 19, pled guilty to Residential Burglary, a Class B Felony. He was sentenced to 7 years probation, 1 of which will be supervised by the Arkansas Department of Community Corrections. Fines and Costs ordered. Daniel "Luke" Temple, 27, pled guilty to Residential Burglary, a Class B Felony. He was sentenced to 42 months in the Arkansas Department of Corrections. Joseph Riggins, 41, pled no contest to Possession of Controlled Substance, a Class C Felony. He was sentenced to 42 months in the Arkansas Department of Corrections. This sentence will run cuncurrent with any Federal time. Tommy Riggins, was sentenced to 8 years probation. One of which will be supervised by the Arkansas Department of Community Corrections. Johnathan "Bubba" Parrish, pled guilty to Commercial Burglary, a Class "C" Felony. He was sentenced to 6 years probation, one of which will be supervised by the Arkansas Department of Comunity Corrections. He was also ordered to pay fines and costs along with restitution to Polk Pharmacy of Clarendon and Christopher Homes of Clarendon. Jason Butler, pled guilty to Possession of a Firearm by Certain Persons. He was sentenced to 36 months in the Arkansas Department of Corrections. Jarkius Brittan, 21, pled guilty to Possession of a Firearm by Certain Persons, a Class "D" Felony. He was sentenced to 5 years probation, one of which will be supervised by the Arkansas Department of Community Corrections. He was also ordered to pay fines and costs. Jordan Martin, pled guilty to Furnishing Prohibited Articles into a Jail Facility. He was sentenced to 5 years of probation, one of which will be supervised by the Arkansas Department of Community Corrections. Also oreded to pay fines and costs. Aaron Armstrong, 25, pled guilty to Theft by Receiving, a Class "C" Felony. He was sentenced to 3 years probation, one of which will be supervised by the Arkansas Department of Community Corrections. He was ordered to pay fines,costs and resitution to Tammy Fisher. Billy Ray Scott Jr., pled guilty to Battery 1st Degree, a Class "B" Felony. He was sentenced to 7 years probation, one of which will be supervised by the Arkansas Department of Community Corrections. He was ordered to pay fines, costs and restitution to Patrick Wall. Jason DePriest, 28, pled guilty to Battery 2nd Degree, a Class "D" Felony. He was sentenced to 5 years probation, one of which will be supervised by the Arkansas Department of Community Corrections. He was ordered to pay fines and costs. Marteese Starr, 33, of Holly Grove, pled guilty to Battery 2nd Degree, a Class "D" Felony. He was sentenced to 72 months in the Arkansas Department of Corrections. Calvin Tatum, pled guilty to Battery 2nd Degree, a Class "D" Felony. He was sentenced to 3 years probation, ordered to pay fines and costs. Ronald Rathburn, 39, pled guilty to Theft of Poperty, a Class "B" Felony. A converstion agreement was entered, and he will attend Justice Network Program for 6 months. Roger Lawson, 52, pled guilty to Possession of Controlled Substance, a Class "C" Felony. He was sentenced to 5 years probation, one of which will be supervised by the Arkansas Department of Community Corrections. He was ordered to pay fines and costs. Anthony Calahan, pled guilty to Possession of a Defaced Firearm, a Class "D" Felony. He was sentenced to 4 years probation, one of which will be supervised by the Arkansas Department of Community Corrections. He was ordered to pay fines and costs. William Robinson, pled guilty to Possession of Controlled Substance, a Class "D" Felony. He was sentenced to 2 years probation, one of which will be supervised by the Arkansas Department of Community Corrections. He was ordered to pay fines and costs. Stevenson Brown, pled guilty to Fleeing, Possession of a Firearm by certain person, and Aggravated Assault. He was sentenced to 30 months in the Department of Corrections for Fleeing, 30 months in the Department of Corrections for Possession of Firearm and 60 months in the Arkansas Department of Corrections for the Aggravated Assault. All time will run concurrent. Ricky Bones, 53, of Holly Grove, pled guilty to Theft by Receiving, a Class "D" Felony. He was sentenced to 6 years probation, one of which will be supervised by the Arkansas Department of Community Corrections. 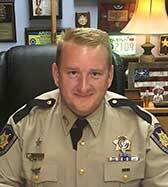 He was ordered to pay fines, costs and restitution to Butch Kelly. Shauntrel Johnson, pled guilty to Possession of Controlled Substance, a Class "D" Felony. He was sentenced to 6 years probation, one of which will be supervised by the Arkansas Department of Community Corrections. He was ordered to pay fines and costs. Colten Reddell, 19, pled guilty to Theft of Property, a Class "C" Felony. He was sentenced to 6 years of probation, of which 2 of them will be supervised by the Arkansas Department of Community Corrections. He was ordered to pay fines and costs. Jennifer Coleman, was given a defferred sentence to Possession of Controlled Substance by deversion agreement and ordered to pay fines and costs. Stacey Bennett was also given a defferred sentence of 36 months. Bond was forfited to the State for payment of fines, costs and restitution. With the balance due by December 1st. Note: Devirsion and Defferred Agreements are not convitions.